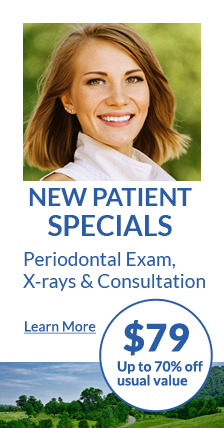 We don’t want you to be in pain and offer extended hours for dental emergencies. We understand that a dental emergency can be a stressful and unexpected event. We provide emergency dental care to patients the same day during office hours. We have extended hours to help accommodate your schedule. Our caring staff will get you in to see Dr. Weingarden or Dr. Bakuri as soon as possible to treat your dental concern. It is important to keep it moist at all times. If you aren’t able to place the tooth back in the socket, place it between your teeth and gums. A tooth that has been re-implanted by you or a dentist within an hour of injury has the greatest chance of successfully reintegrating into the gum. If no dentist is available, an emergency room can also treat your knocked out tooth.